The ideal portable reading solution for any industrial barcode or 2D application, even with difficult low contrast codes. The Microscan HS-41x 2D handheld imager provides fast decode rates and long range reading in a lightweight, durable package. Its dual field optics decodes most 1D and 2D symbols in any orientation including direct part mark (DPM) codes. The HS-41x combines a compact, rugged form factor with high performance and is ideal for applications from the clean room to the factory floor. 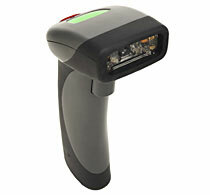 The Microscan FIS-HS41X-0002G is also known as Microscan Systems	FIS-HS41X-0002G	or FISHS41X0002G	.